DHARAMSHALA, Dec. 26: Chinese human rights lawyer Wang Quanzhang was tried in a closed hearing today. He was charged for inciting subversion of state power for defending political activists and victims of land seizures in 2015, reports BBC. Journalists and diplomats were barred from entering the courthouse in the northern city of Tianjin where security forces also took away some activists expressing solidarity with the lawyer. Quanzhang’s wife, Li Wenzu, who has not seen her husband for three years recently shaved her head in protest against her husband’s persecution. Scores of security officials enclosed her Beijing home today preventing her from attending the trial. 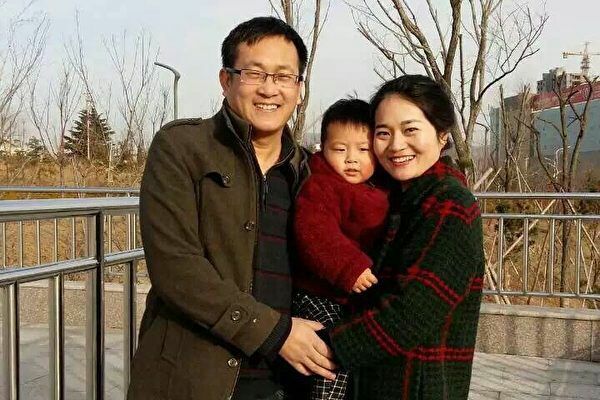 Quanzhang disappeared in the beginning stage of 709 crackdowns referring to the clampdown of more than 300 lawyers and legal activists that began on July 9, 2015. He remains the last detainee to be tried. Quanzhang, 42, also defended followers and activist of Falun Gong, the banned spiritual movement and reportedly worked with a Swedish human rights activist. Mr Dahlin, who worked in a legal aid organization, was briefly detained in China in January before being deported. “Following indictment for #QuanzhangQuanzhang, incl his work with ‘JDI’ (ChinaAction), we have kept all documentation – tens of thousands of files – all back to 2009, and will release anything needed to dispel that it constitutes subverting state power,” Dalin wrote on Twitter today. “‘Rule by law’ itself is a false concept and is entirely on the opposite side of ‘rule of law,” said Sui Muqing, who was barred from working as a lawyer in the aftermath of the “709” crackdowns.